Anyang Eternal Sea Metallurgical Material Co., Ltd.
Manganese is one of the main deoxidizer s in steel-making process, further more, almost all kinds of steel are required to use manganese deoxidation . Our company is engaged in ferroalloy products, metallurgical furnace burden, foundry, chemical and other industrial raw materials of international trade. Our company is engaged in ferroalloy products, metallurgical furnace burden, foundry, chemical and other industrial raw materials of international trade. Anyang Yangfu Metal Material Co., Ltd.
Anyang Kangxin Metallurgy Furnace Charge Co., Ltd.
Our production of silicon manganese alloy has many advantages such as low melting point, large particles, and easy to rise. 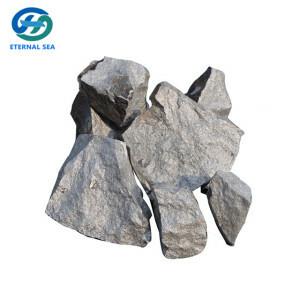 So high silicon ferrosilicon (or siliceous alloy) is a low-carbon ferroalloy industry production more commonly used a reducing agent. 3. Package with customers' requirement, single packing also can be adjusted according to the size of converter molten pool. Anyang Penghang Metallurgical Refractory Co., Ltd.
Henan Giant Industrial Co., Ltd.
Jungar Banner Xinrong Chemicals Co., Ltd.
Ferro Silicon Manganese 1.The introduction of the ferro silicon manganese silicon manganese alloy is an alloy made of manganese , silicon, iron and small amounts of carbon and other elements. Silicon manganese alloy is used as compound deoxidizer , also reducing agents of the production of low-carbon ferro manganese and manganese silicon thermal power production. Manganese is one of the main deoxidizer s in steel-making process, further more, almost all kinds of steel are required to use manganese deoxidation . Product Overviews Silicon manganese is composed of manganese, silicon, iron and other elements with a small amount of carbon and other kinds of alloy. Under the same conditions, the burning loss rates of silicon and manganese were 46% and 37% respectively. Therefore, it is widely used in steelmaking industry and has become the essential deoxidizing agent and additive in steelmaking industry. 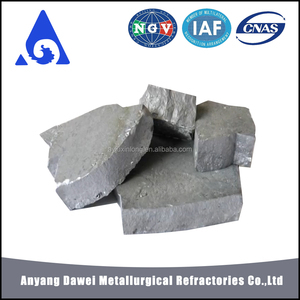 So high silicon ferrosilicon (or siliceous alloy) is a low-carbon ferroalloy industry production more commonly used a reducing agent. Production Process: Packing and Delivery: 1. Regular products packing with 1000 kg composite woven bags outside for each ton. 3. Package with customers' requirement, single packing also can be adjusted according to the size of converter molten pool. ,Ltd is the export department of Anyang WanHua Metal Materials Co., Ltd. We are committed to develop the international market. wherever you are in the world, you can forge ahead with your business and trust Giant to deliver. 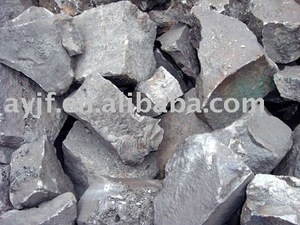 Silicon in Silicon-manganese has strong affinity with manganese and oxygen. Under the same conditions, the burning loss rates of silicon and manganese were 46% and 37% respectively. Therefore, it is widely used in steelmaking industry and has become the essential deoxidizing agent and additive in steelmaking industry.
) 5) S: 0.03% (max. ) 4) P: 0.05% (max. ) 5) S: 0.02% (max. Alibaba.com offers 1,488 simn products. About 28% of these are taper roller bearing, 13% are other metals & metal products, and 5% are other steel products. A wide variety of simn options are available to you, such as free samples. There are 1,402 simn suppliers, mainly located in Asia. The top supplying countries are China (Mainland), India, and Vietnam, which supply 96%, 1%, and 1% of simn respectively. Simn products are most popular in North America, Southeast Asia, and South America. You can ensure product safety by selecting from certified suppliers, including 381 with ISO9001, 102 with Other, and 59 with ISO/TS16949 certification.